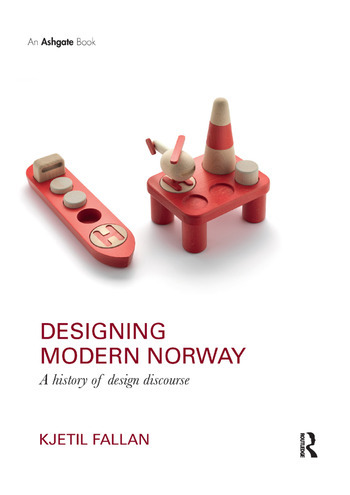 In Designing Modern Norway, Kjetil Fallan makes an invaluable addition to Scandinavian design literature by writing the first scholarly English language history of Norwegian design. He constructs a narrative animated by advocacy organizations and ideologically driven periodicals as well as individual designers and theorists, telling a rich and complex history of Norwegian design discourse from 1870 to 1970. Designing Modern Norway is an impeccable study. Fallan's expert and meticulous analysis interrogates the multiple institutions, journals, and magazines that gave rise to design discourses that directly impacted the construction of modern Norway. The felicitous result is a thoroughly de-mythologized history of design and national identity. Here the contributions of individual designers emerge as part of a growing web of design organisations and institutions. This and the coverage of design discourse in professional and popular magazines creates a compelling picture of Norwegian design culture. A valuable history made up of many competing voices, rather than a single master narrative. This is a rare full-size portrait of a national design culture by a most gifted draughtsman. Norway has the perfect scale to study the mesh of professionals, institutions, media and debates in detail - both as it developed in the frames of the nation state from 1870 to 1970, and as intricate ingredients of our current design scene. This will be a precious book to students and scholars of design culture, inviting valuable comparisons with other countries or cultures.